Success de Milton Lloyd es una fragancia de la familia olfativa Floral Acuática para Mujeres, idéntica familia olfativa que L´Eau D´Issey de Issey Miyake. 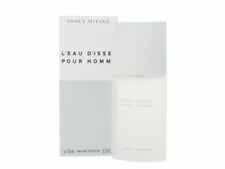 L´Eau D´Issey de Issey Miyake. IDEA REGALO. 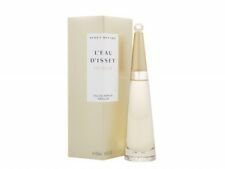 Su fragancia recuerda a .
L'eau d'Issey de Issey Miyake es una fragancia de la familia olfativa Floral Acuática para Mujeres. Sólo se realizan envíos a la Península. las Notas de Fondo son maderas exóticas, nardos, ámbar, sándalo, almizcle, osmanto (olivo oloroso) y cedro. LE FEU D'ISSEY LIGHT Issey Miyake 50ml. The differences are the amount or the concentration of oils that are in the scents. The higher the concentration of oils, the longer your scent will last, and the less you should need to apply. Would you consider accepting a lower price for the item?. The differences are the amount or the concentration of oils that are in the scents. The higher the concentration of oils, the longer your scent will last, and the less you should need to apply. You should read the product title carefully as that is what you will be ordering. The differences are the amount or the concentration of oils that are in the scents. The higher the concentration of oils, the longer your scent will last, and the less you should need to apply. RRP: £44.00, Our Price: £33.17 - Save: 25%! The differences are the amount or the concentration of oils that are in the scents. The higher the concentration of oils, the longer your scent will last, and the less you should need to apply. Illustration purposes only. EAU FRAICHE. ISSEY MIYAKE. 200ML GEL DE DUCHA.